The Intersections & Beyond: Mendoza Travel Bags mounted in an art installation exhibit called, "Inspirations"
Mendoza Travel Bags mounted in an art installation exhibit called, "Inspirations"
Mendoza Travel Bags are dedicated to travel that requires versatility, flexibility and style. But have we imagined that such bags can be transformed into an art form and thus will have their own function in this unique exhibition of ideas? Everyone witnessed how Mendoza travel bags can be molded to suit any individual’s taste (in this case, an artist's perspective), through an art installation exhibit dubbed as “Inspirations” which was launched at the ground floor of Greenbelt 5 mall on May 14, 2010. Mendoza hard cases were the main attraction in this exhibit, using their travel line of products: Seahawk Plus and Seahawk II, two collections which take their inspiration from the safari and the sea, respectively; the Panzer collection—strong, solid, and as tough as a tank; the XR7, an ergonomic lightweight luggage design and finally, the MZ-60 rounds up the Mendoza case luggage travel line. There is no other way to truly capture the modern and innovative travel luggage line of Mendoza than by collaborating with the country’s most prolific contemporary artists. 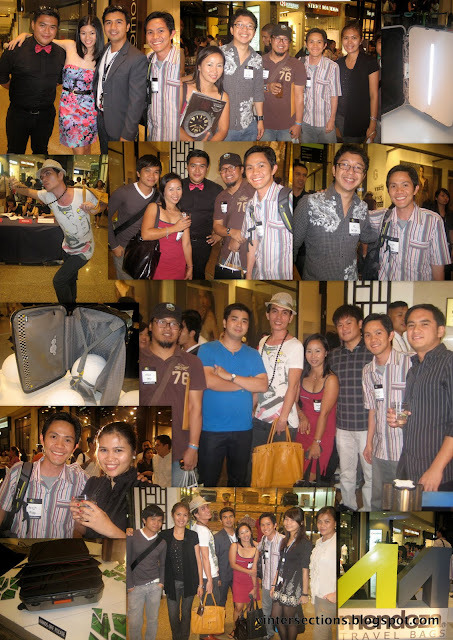 Behind the Mendoza art installation exhibit are the great minds behind the latest offering to the modern art and design scene. The geniuses who shared their perspective and talent to Inspirations are acclaimed local and international artists Nikki Luna, Cesar Gaupo and Jimmy Caumeron with Tristan Granados, MM Yu alongside Flow magazine’s Miguel Rosales and Patrick Apacible. Mendoza in partnership with Flow magazine put together a showcase of art installations, that has drawn art and travel aficionados alike. We saw here that a travel bag can have its own character and strength through the functions that the artists have given them. "Inspirations" exhibit runs until May 20, 2010. 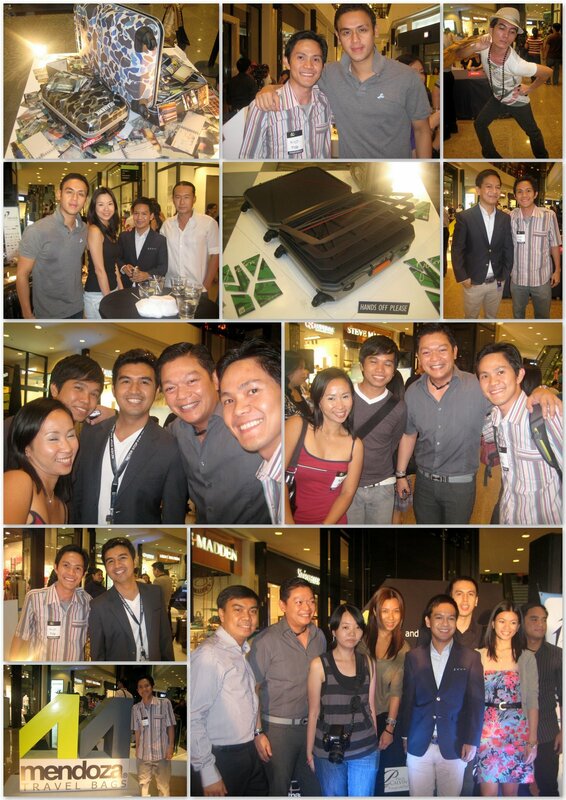 The Mendoza art installation exhibit is a joint project of Mendoza, Flow magazine, and Bratpack. Mendoza Travel Bags is exclusively distributed by the Primer Group of Companies and available at The Travel Club stores, SM Department Store, Robinson's, Landmark, Duty Free, Bratpack Greenbelt 5, Metro Gaisano and Felcris Chimes Davao.